Bylaws of Arrowhead Woods Architectural Committee, Inc.
After visiting Lake Arrowhead in 1923, a reporter for the Architectural Record wrote, "Much glorious scenery in California and elsewhere has been ruined by haphazard building." He went on to commend Arrowhead homeowners for the establishment of a concerned resident group appointed that same year. 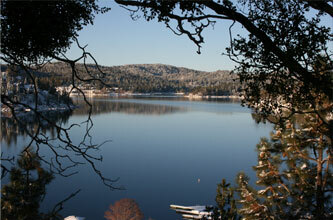 That group, charged with the responsibility of working with the community to protect Lake Arrowhead from such a fate, was AWAC. More than 75 years later, still empowered by the CC&Rs, AWAC continues to preserve the unique character of and property value within the Arrowhead Woods. Arrowhead Woods Architectural Committee, Inc.